This course has been developed by the DHS Dams Sector and is being hosted by EMI. All questions or comments about this course should be directed to the following email address: damsportal@hq.dhs.gov. Dams Sector: Security Awareness is the second course in the Dams Sector Web-based training series. The purpose of this series of courses is to provide owners and operators with information pertaining to security awareness, protective measures, and crisis management. This course explains how security awareness is an important component of an overall risk management program. In addition, it provides owners and operators with information that assists in identifying security concerns, coordinating proper response, and establishing effective partnerships with local law enforcement and first responders. Must complete the course within the Homeland Security Information Network-Critical Infrastructure(HSIN-CI) Dams Portal. Those who do not currently have access to the HSIN-CI Dams Portal must complete the HSIN-CI Dams Portal Access Request Form and submit directly to the Dams Sector-Specific Agency via damsportal@hq.dhs.gov to request and be considered for access to the training course. Will return to this page to complete the final exam in order to receive credit. You may want to bookmark this page so that you can easily return to this page when you are ready to take the exam. 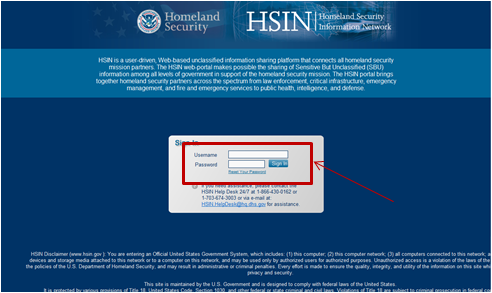 Go to https://hsin.dhs.gov/ci/home and enter your user name and password, and then click on the Log In button. 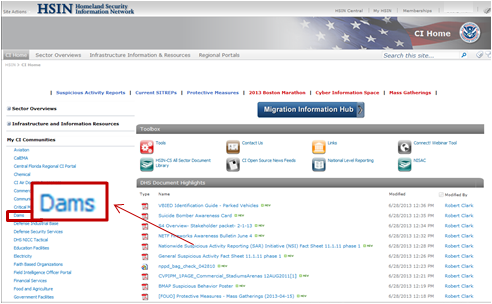 Next, click on the Dams link in the list of HSIN-CI Communities on the left side of the screen. 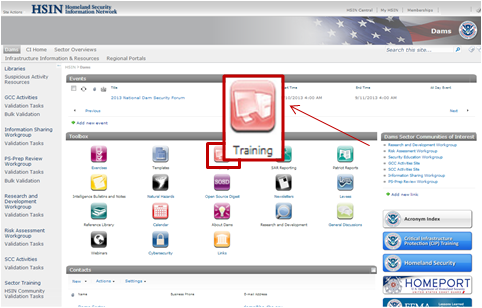 Once inside the Dams Sector Portal, click on the Training icon. Describe the mission and partners of the Dams Sector. Identify the common characteristics of dams. Describe the consequences of dam failures. Describe common security vulnerabilities and interdependencies that affect the Dams Sector. Describe potential terrorist threats and targets related to the Dams Sector. Identify terrorist surveillance objectives and methodologies. Identify indicators of surveillance and other suspicious activities. Identify indicators of weapons, explosives, chemical, biological, and radiological threats. Describe the process for reporting incidents. Identify the strengths and weaknesses in a sample report narrative. All Dams Sector facility owners and operators, with emphasis on owners and operators seeking the fundamentals of the security awareness elements of a risk management program. Note: This course is designated For Official Use Only.